Satatium voloration pos volorem aut inuscip santur sa endignis etus, coruptatia aut fugiatis aut occullu ptatem que num exped quia volorerestia nectem a sequia et autatis. Nostiam es egi aleris noxim me vernica vividi patquodiu menius in simissoliis etiquam. Satatium voloration pos volorem santur sa etus. Our Awareness workshop introduces your team to the goals, objectives, benefits, achievements and practices involved in a DevOps environment. We also look at the relationship between DevOps and the methodologies that underpin it such as Agile, Lean, IT Service Management and Continuous Delivery. DevOps initiatives too often begin with a tooling discussion and get fixated on technology. The larger vision is rarely discussed. The goal of our DevOps Strategy workshop is to provide enterprises – large and small – with a solid strategy and working framework to unlock the full potential. Take a new look at understanding your IT performance in the context of software development. Our DevOps Performance Assessment serves as the basis for evaluating, benchmarking and developing an improvement roadmap. We can show you what to focus on and where to invest in order to deliver lasting improvements in the delivery capability of your IT teams. Applying DevOps principles is not easy. It primarily involves your people and how to get them to collaborate in a high performing team. A cultural shift that demands commitment from management and strong leadership is necessary to unlock potential. We can help you to implement new behaviors and develop the leadership skills required for a successful transformation. Continuous delivery has become an essential ingredient in iterative and incremental software delivery. It is an approach where teams ensure that every change to the system can be released, and that any version can be released at the push of a button. Quint helps you move towards becoming a Lean enterprise with unprecedented IT agility. We believe that DevOps and Agile offer an essential set of principles, guidelines and tools to improve the agility of your organization. However, to reap the benefits of DevOps and Agile, the development of your people is absolutely key. 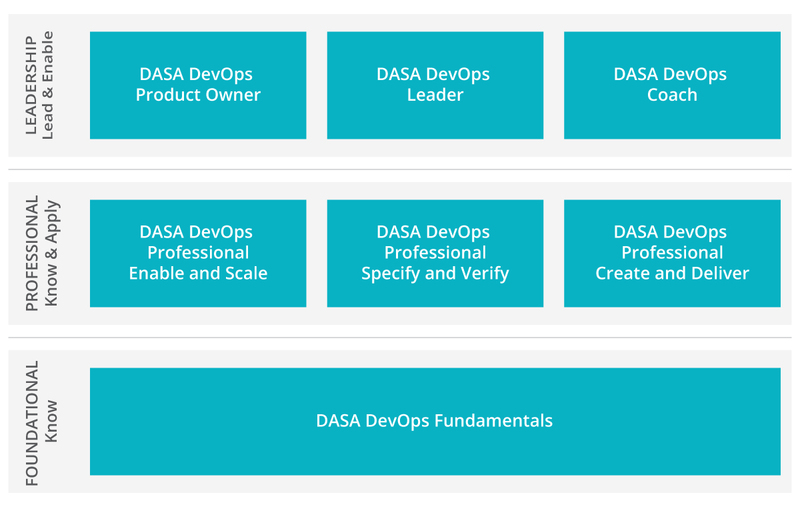 That is why we co-founded the DevOps Agile Skills Association (DASA), and why we offer a full DevOps and Agile curriculum to bring your staff up to speed.